As one restaurant closes, another something opens. That’s the cycle of retail life in Harlem/ NYC. In this case, it’s another cafe! 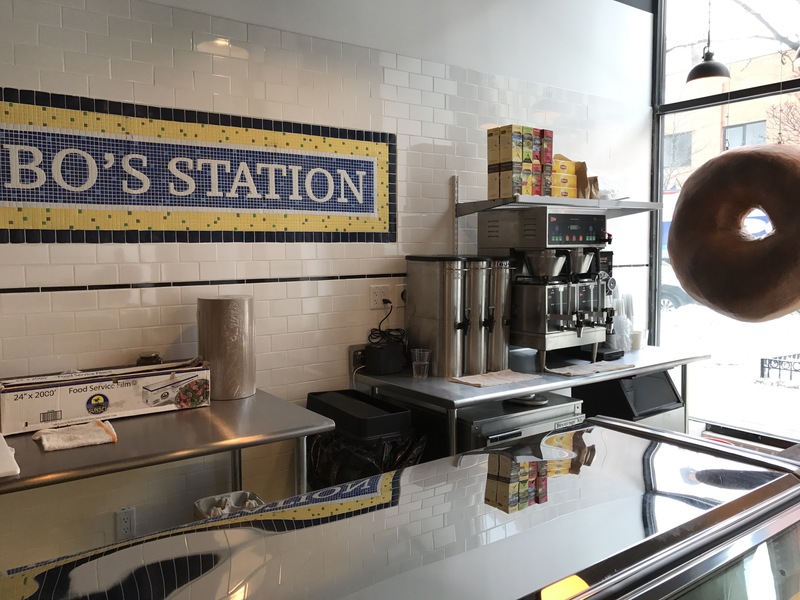 At 2118 Frederick Douglass Blvd, the old spot of Jado Sushi, it will now be…Bean & Barley, a coffee/espresso/beer/wine/spirits and bites. At least that is what the bright red awning says as we strolled by on Saturday, June 9. The windows are papered up for now, but there is a leaflet posted with..barista needed. Stay tuned for more info, as Bean & Barley will more than likely open in the coming weeks. As one door closes another opens…and that’s what’s happening at 2080 Frederick Douglass Blvd in Harlem! Paint’n Pour is moving into the space where The Park 112 Restaurant use to be! The signage is up! 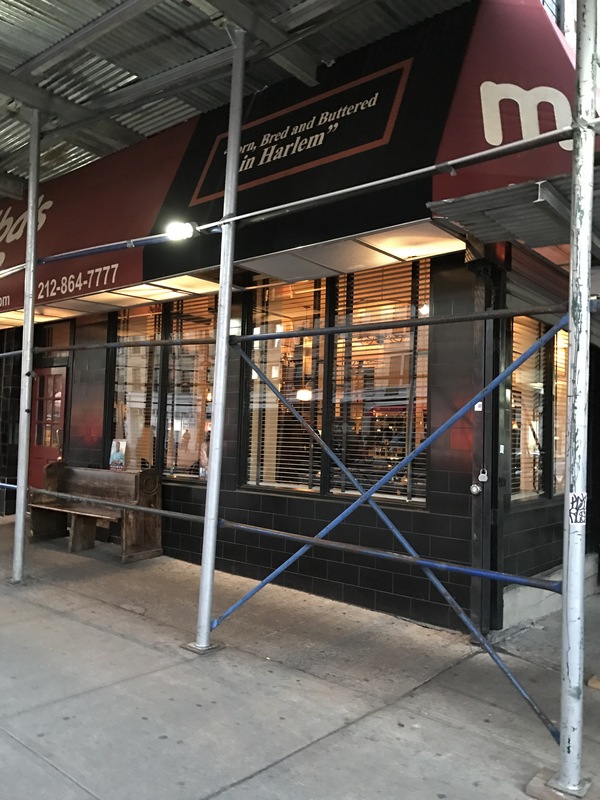 According to their Facebook page, Paint’n Pour was located at 79 Madison Avenue, where one could actually paint “with the help of an open bar.” Paint’n Pours instagram account states they’re moving uptown to Central Harlem and the grand opening is coming soon! I hope the painting stays indoors along with the cocktails. If my kids see adults painting outside, they’ll want to join in! Burgers will not be cooking up in the space next to Chocolate Restaurant in Harlem. It will be Ganache Coffee! The signage is up in the commercial space between 119th and 120th Street on Frederick Douglass Blvd. I guess Leon Ellis, the owner of practically everything on that particular block, changed his mind and decided to focus on coffee products instead-at least that’s what the signs are indicating! One of the greatest actors on the planet was hanging out on Harlem&apos;s Restaurant Row last night, July 27. According to Row House&apos;s online social network, Meryl Streep and the cast of The Papers, Steven Spielberg&apos;s upcoming flick, were dining at their establishment. Here&apos;s the picture to prove it! Pretty awesome, don&apos;t ya think? Need family plans in Harlem June 18? Consider NYC Kidsfest in Morningside Park from 2-7 PM. 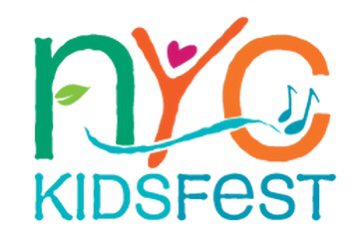 NYC Kidsfest is a free, one-day family performing arts festival bringing acts of outstanding artistic quality to New York families. Packed with music, theater, dance, storytelling and much more; this festival promises to delight, inspire and arouse the imaginations of children of all ages. Location: Morningside Park—113th Street @ Manhattan Avenue behind St. John the Divine. Closest trains: 1, B or C Exit 110th Street. Rain date is June 25! Harlem villagers no longer have to turn to downtown to dine at a farm-to-table restaurant. 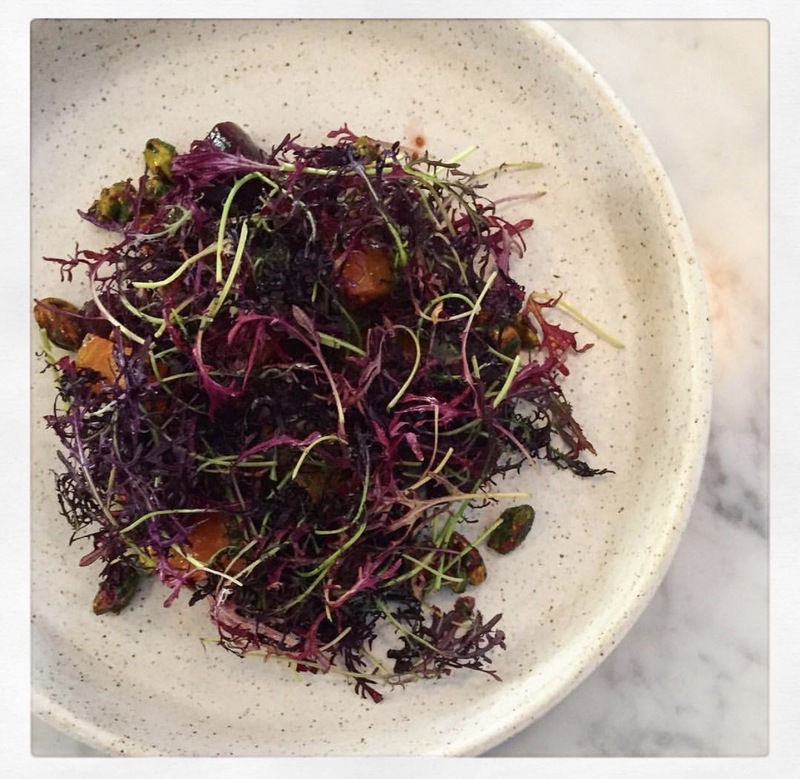 Harlem dining patrons can now experience farm-to-table at Clay, located on the corner of 123rd Street and Manhattan Avenue. The New American restaurant opened up on the Harlem corner six weeks ago and is ready to serve locals (or anyone that walks in) with dinner and brunch on the weekends. And if you’re curious as to where exactly Clay is sourcing, the list is posted on their website. Feeling hungry for a bagel after that big snowstorm? Harlemites do not have to go far now for that big, round fluffy pan any more. 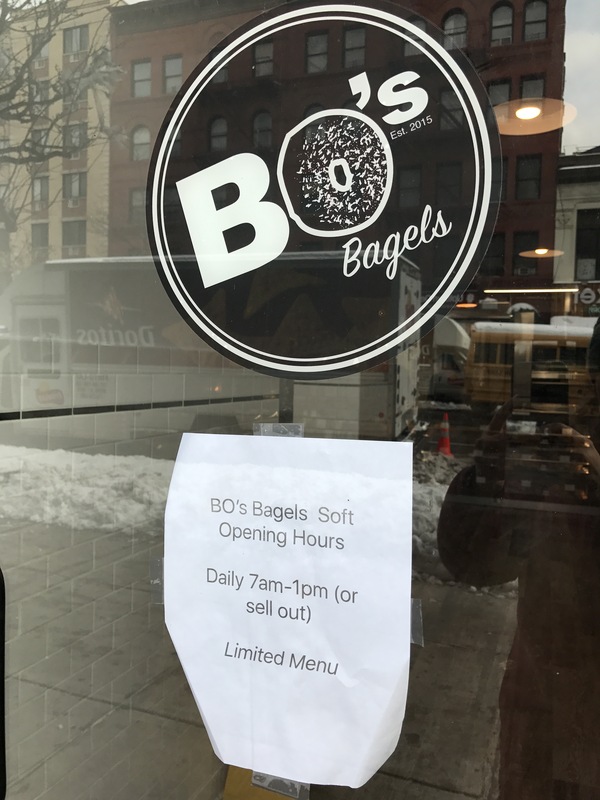 Bo’s Bagels, located on 116th Street between Frederick Douglass Blvd and Adam Clayton Powell, Jr. Blvd in Central Harlem, is now open for business. They have been open for about a week under a soft opening schedule, i.e. from 7 am to 1 pm. 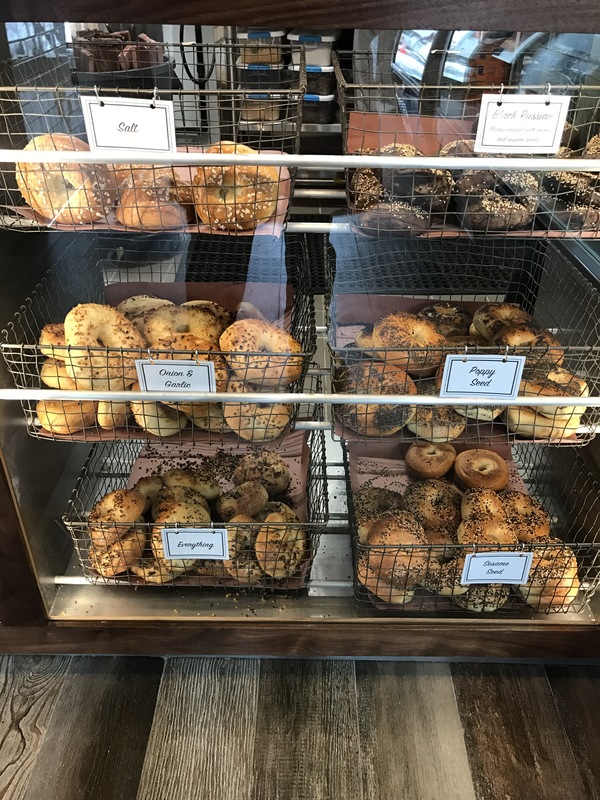 Stop by and grab a bagel and stay tuned for grand opening details. 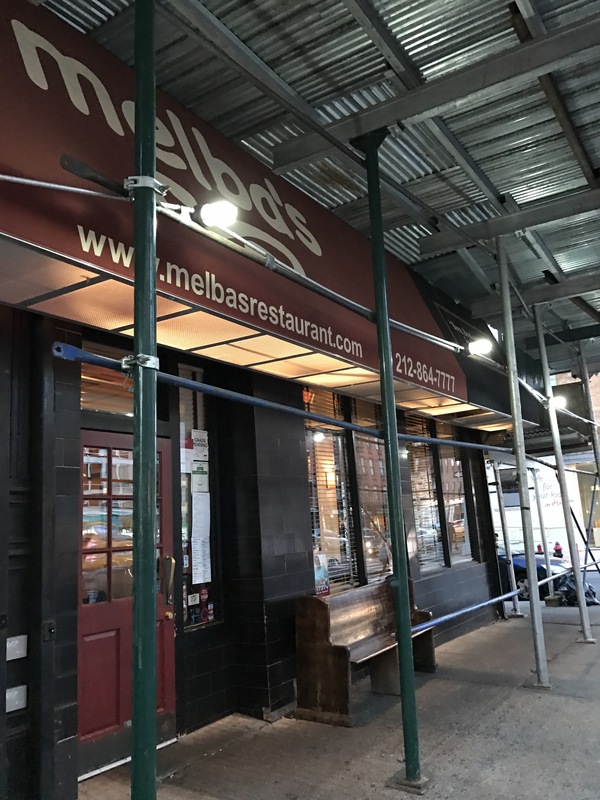 Another Harlem blog posted a question yesterday to their site asking: Has Melba’s on 114th Street and Frederick Douglass Blvd shuttered? As of this evening, HarlemGal has the the answer. It’s no! This blog walked by there this evening and all the lights were on and people were inside! 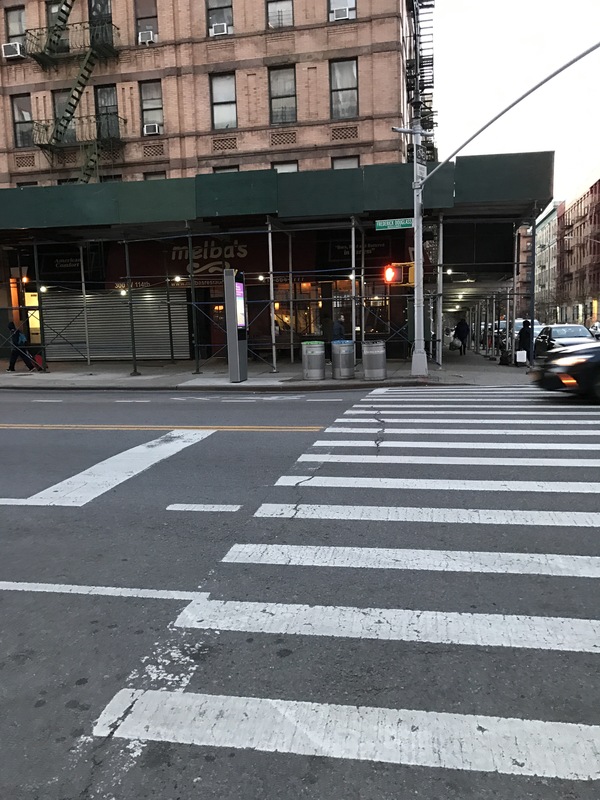 What prompted the questions around the status of Melba Wilson’s ten year old restaurant on Harlem’s restaurant row is that someone snapped a photo of that infamous sticker from the City slapped on the restaurant’s grey metal rolling gate. Ouch! Hopefully, going forward, this type of uncertainty about whether Melba’s restaurant is opened or closed is a thing of the past. Fingers are crossed! When I moved to Harlem back in 2006, there was only one mom and pop store close to me fully dedicated to offering organic grocerys on every level and that was Organic Forever on Frederick Douglass Blvd between 111th and 112th Street. Ten years later, they still are the only small business that sells organic products, until now! 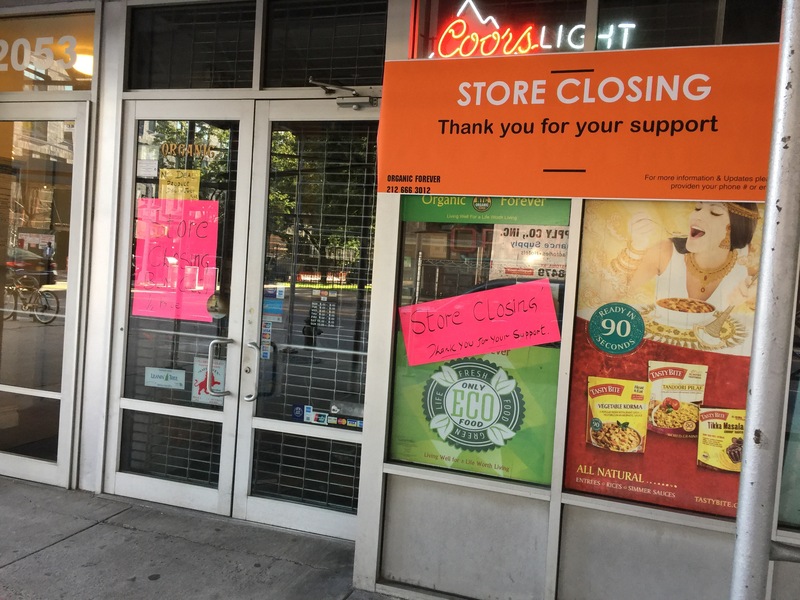 If you walk by the store, there are big signs that says they’re closing. 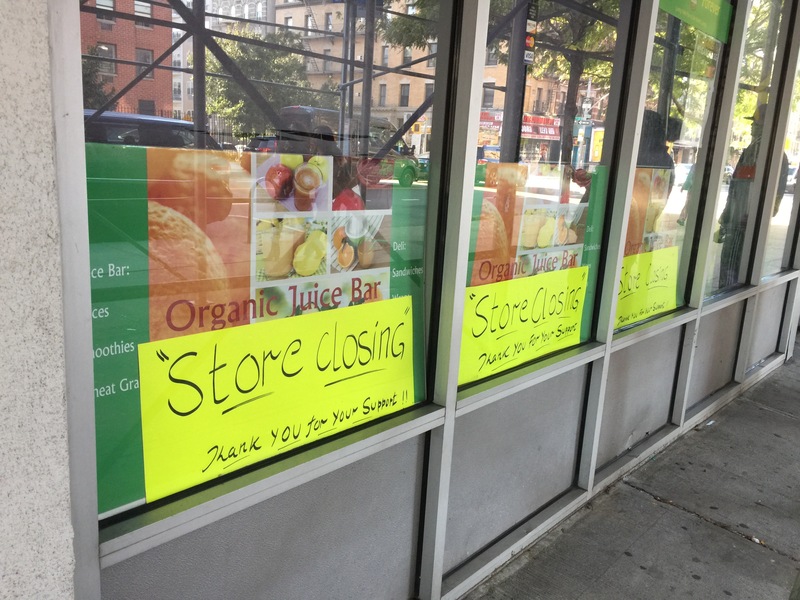 Not sure of the reasons why Organic Forever is closing, but it’s unfortunate and another sign of the times that everything continues to change in Harlem at rapid speed!